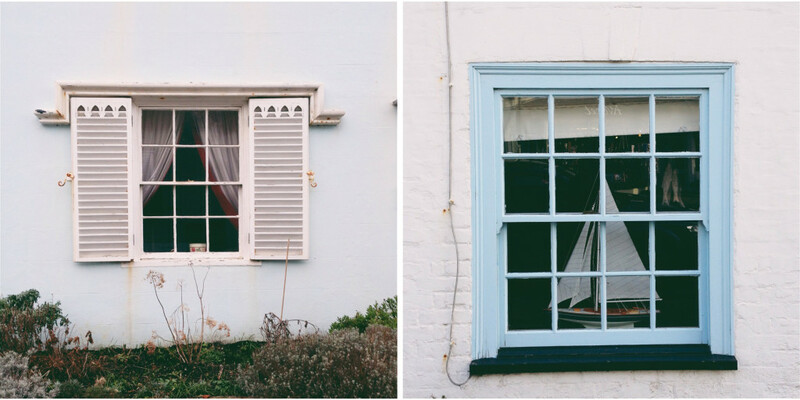 As you may be aware, I really can’t get enough of diptychs. So yes, I also shoot them on my iPhone. There are several apps that can diptych, triptych and collage your pictures. Here’s how I apply my “5 Secrets of a Diptych Addict” to making my diptychs on my iPhone. 1. 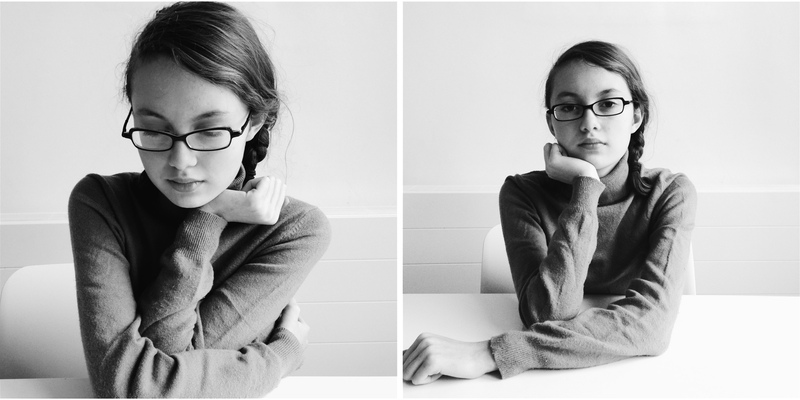 Take your pictures with diptychs in mind. There are some scenes that beg to be diptyched. A detail and a wider shot together, for instance, can give you more of the essence of a portrait of a person. Or a sunrise and the shadows it creates. The great thing about my phone is that I take it everywhere. So when inspiration for a diptych strikes unexpectedly, I’m ready! I took both a wider shot and a closer shot of Ella to try and capture her personality better. 2. Shoot straight. I shoot with the grid on, both with iPhone camera and when using the 6×6 app (my preferred camera on the iPhone). Of course it’s not always possible to shoot straight and in those instances I crop and straighten in Snapseed, my favourite app for doing the basics (available on iOS and Android). And I have to say that one of the things I have noticed from doing my diptych 365 is that very little in London is straight! But I digress. I love the windows on Aldeburgh High Street. I am sure they have interesting stories to tell. This diptych was made in Diptic. 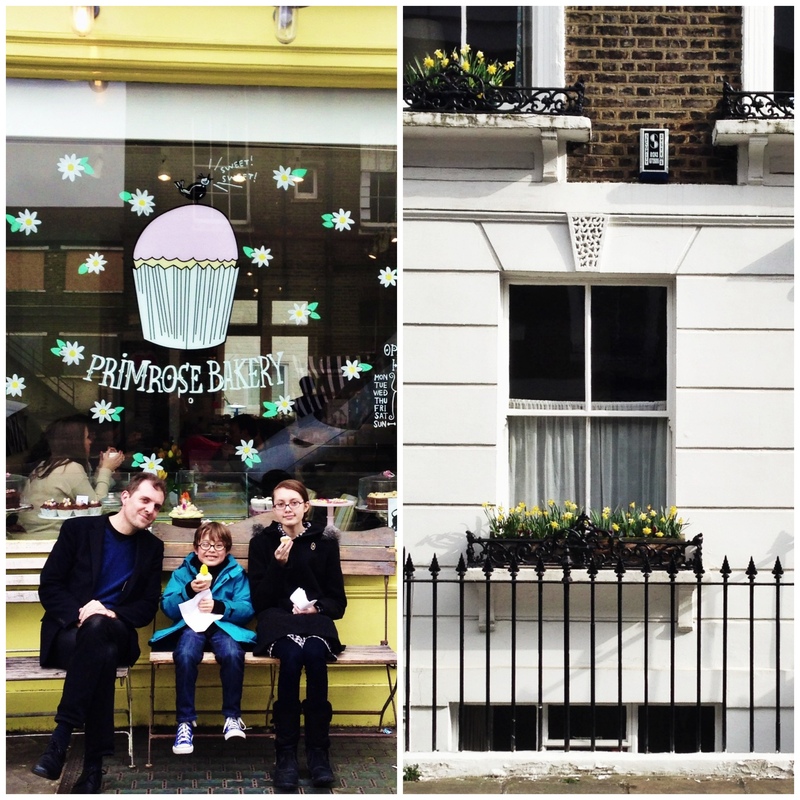 We stopped to have cupcakes in Primrose Hill, where there seemed to be yellow everywhere! 4. Mix and match. It’s so easy to play around with different combinations and arrangements using these apps. Try swapping the images around in your diptych. Do they work better the other way around? The apps make it easy for you crop the images too, so try playing with that until you are happy with the result. I’m obsessive about lining up horizon lines, for example. In many ways this kind of adjustment is actually easier on a phone than it is on a computer. I went adventuring with my new 35mm camera, the Contax Aria. 5. Build your narrative. I’ve been using triptychs recently to tell the story of my baking adventures with Miles. I share the individual pictures on Instagram as the story progresses and then finish up with a triptych to show the whole story. I’m generally trying to shoot more narrative photoessays in all photographic formats. And yes, I spend ages getting the three images to line up neatly! Miles and I like to bake cakes. We choose the cake during breakfast and slowly make and bake the cake during the rest of the day. All props: model’s own. I adore this post kirstin. Your diptychs are beautiful works of art that tell wonderful stories. I especially love that bunny one at the end!! amazing post! sooo inspirational. nuf said. xo. Love these, Kirstin. You are really inspiring me to use diptychs. I still need lots of practice with figuring out cropping and framing them up on my iPhone! Yes. There’s definitely an art to the cropping and framing on the iPhone. More practice definitely in order! god, Kirstin, that one under #3 is subtle but pure genius. the yellow black and white in each is so well balanced and perfectly paired. You are too kind, Cara. Thank you. you tell such beautiful stories with your diptychs. they are always a pleasure to see. Thank you Debbie. I enjoyed your Washington one tremendously! 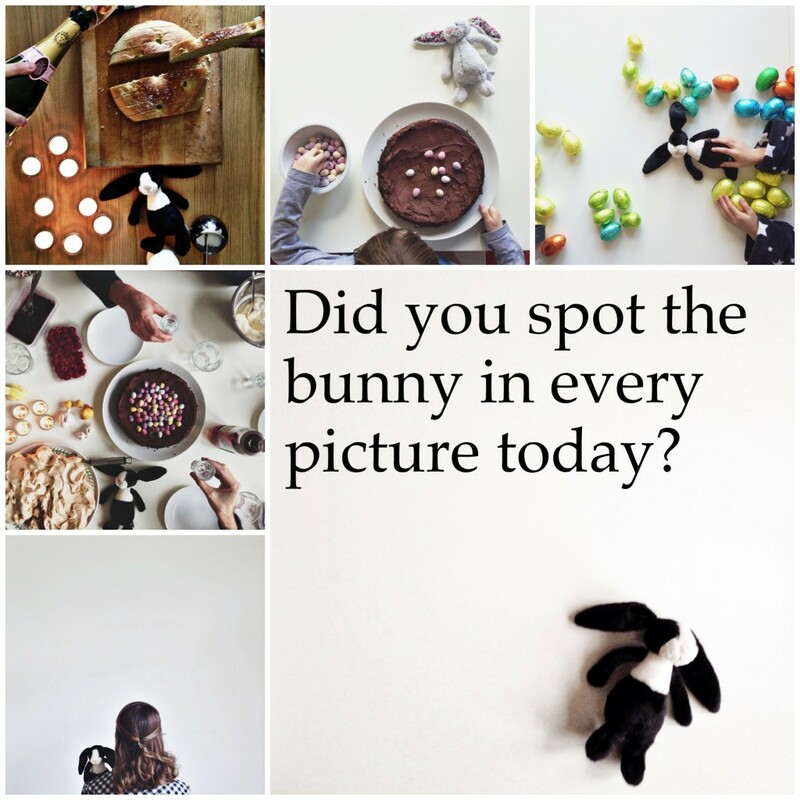 Awww, I love the bunny collection, although I may not have been so observant on the common thread there. These are all great examples of multi photo groupings and great apps to achieve them. I just came across another app, DBL CAM, which uses both front and back cameras to create a dip from both perspectives. You take your initial photo using the front camera, and then it flips to the back camera and takes a photo of what’s there. It is a lot of fun. Thank you Shirley! I will definitely have to give that app a try. Sounds right up my street! Thanks for the tip. Thank you Anna. Yes, I do love to bake with our boy! this is supercool kirstin, not in the least because i’ve been trying to figure out what apps allows squares side-by-side since late january! love all your combinations and love how you’re telling a story in the triptychs too! i have been doing more and more of these. your tips are so helpful. really great! thanks so much. I’m glad they were helpful! Enjoy! loved all the tips you provided! thank you! It’s a pleasure! I am a little diptych-obsessed! Both beautiful and educational. Perfect! And I’m beating myself around the head for not spotting the bunny.